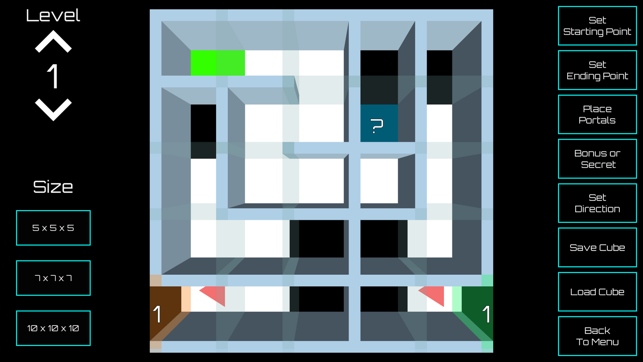 Kalimba Cube is a maze game. 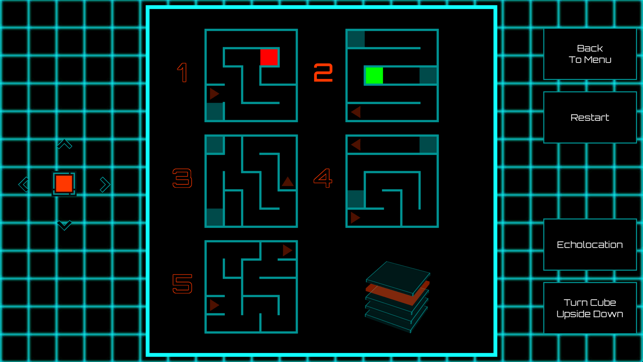 You control a small ball (tilt of the phone or virtual joystick), and you have to get it out of the maze. 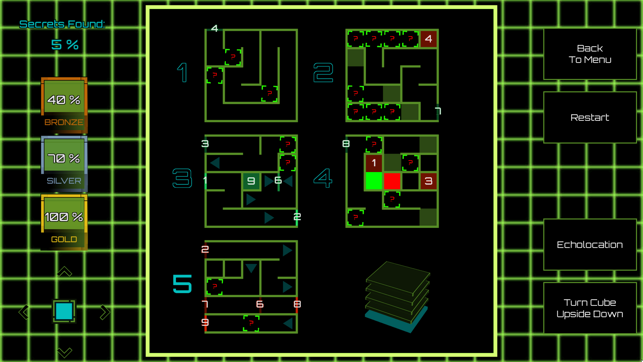 The mazes of Kalimba Cube are built on several floors: each floor of the labyrinth has passages (holes or portals) to other floors. Several labyrinths are thus stacked to form a cube. Kalimba Cube is played "blindly": when you play, you never see the ball or the inside of the cube. To find the exit, you must rely on the sounds you hear, the vibrations you feel and a schematic plan of the maze. In order to master the game and earn medals, you have to reach a specific goal. This goal is dependent on the game mode you choose. - In Exploration mode, you need to find the most "secrets" you can inside the cube. Most of the time (but not always), secrets are visible on the map. So you'll need a good ability to read the map in order to reach those secrets. - In Speed mode, you have to reach the end of the cube as fast as possible. Time bonuses and a thorough knowledge of the maze will help you do that. 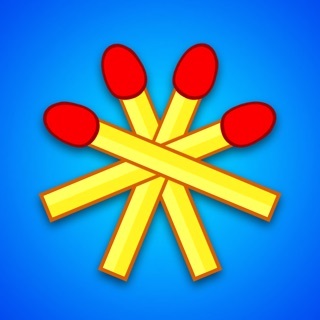 - The Prime mode, is a combination of Speed and Exploration modes. The only important metric here is the secrets per minute you collect. This is the most challenging mode of the game. Prime cubes allow to unlock powerful bonuses and important features. 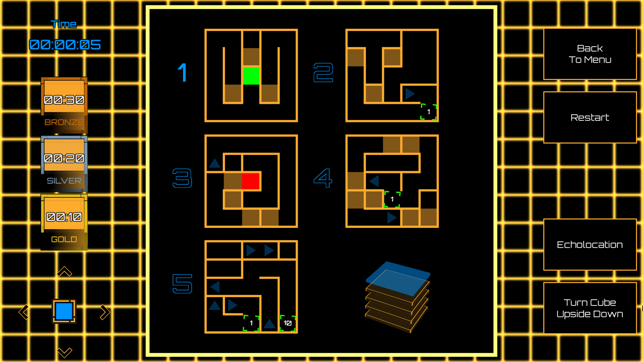 The game features a Cube Designer that allows anybody to build new mazes for the game. The Cube Designer is the actual tool I used to produce all the levels of the game, so you're guaranteed to have full control over your design. More than 40 levels of the game include an online leaderboard that allow you to compete with your friends and the whole world. 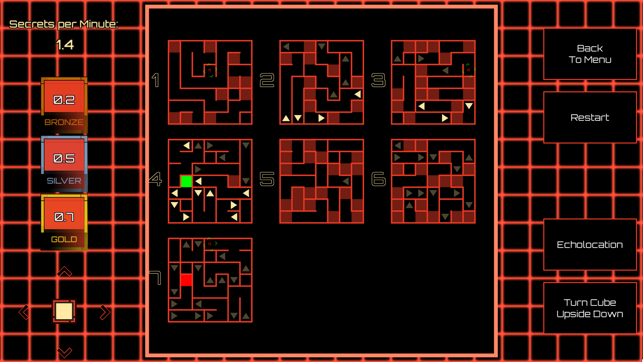 The free version gives access to the first 17 levels. Fixed a bug that was causing instability on some devices.